If you were afraid of interacting with others, but even more annoyed by a suddenly-appearing supernatural creature, what would happen? The award-winning short But Milk Is Important is finally online. 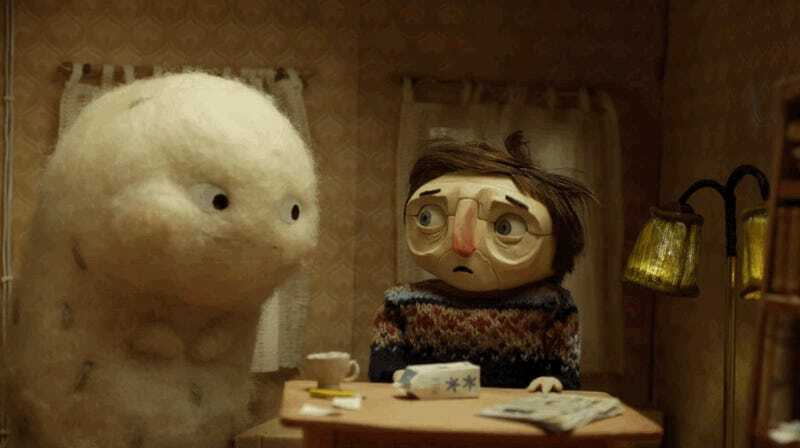 The graduation project from Anna Mantzaris and Eirik Grønmo Bjørnsen, But Milk Is Important is eleven minutes of lovely stop-motion depicting the way social anxiety makes even the smallest interaction extremely difficult.